The Nonprofit Leadership Alliance is a national alliance of colleges, universities, and nonprofits; our mission is to strengthen the social sector with a talented and prepared workforce. The Nonprofit Leadership Alliance (formerly American Humanics Inc.) was founded in 1948 by H. Roe Bartle and is now in partnership with over 33 colleges and universities and also proudly partners with 15 national nonprofit organizations. The Nonprofit Leadership Alliance is headquartered in Kansas City, Missouri and is the only nonprofit organization to meet the need of educating and preparing students and professionals to be leaders in the nonprofit sector. 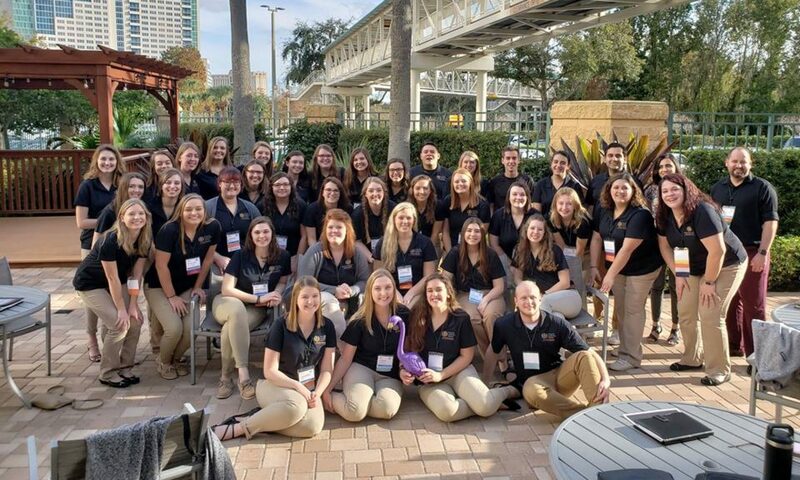 Through their work in the Nonprofit Leadership Alliance, along several other related requirements, students are able to earn a nationally recognized certificate in nonprofit leadership. The Certified Nonprofit Professional (CNP) crediential/certificate, puts students a length ahead when it comes to beginning a career in the nonprofit sector after graduation. To learn more about the National Program, please visit the national office website: http://www.nonprofitleadershipalliance.org/. At the University of Northern Iowa, we are celebrating our 30th year of being a Nonprofit Leadership Alliance Campus Partner! To strengthen the social sector with a talented and prepared workforce. To reduce the learning curve of nonprofit professionals, allowing them to immediately impact their organization and communities. Want to find out more about how you can become Certified to Change the World and join the Nonprofit Leadership Alliance at UNI? Click on the link to Getting Certified.